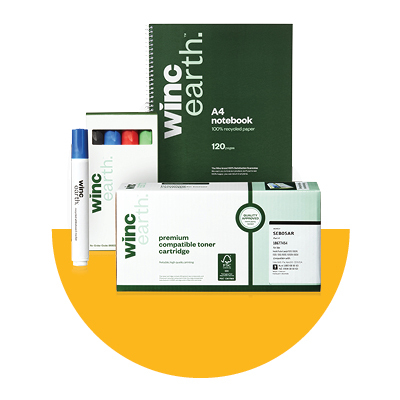 Our exclusive Winc, Winc Earth and Cleera brands have been designed to provide great quality and value for money that you will come to know and love. Our range of over 1,000 products across Stationery, Paper, Janitorial, Kitchen, Technology and Sustainable solutions have been expertly sourced from trusted suppliers, so you can rest assure you’re getting the best products for your workplace. All of our products have been carefully sourced and tested from trusted suppliers. We’re so confident in their quality & performance, we’ve backed them with our Winc 100% Satisfaction Guarantee. So why not try them for yourself today? 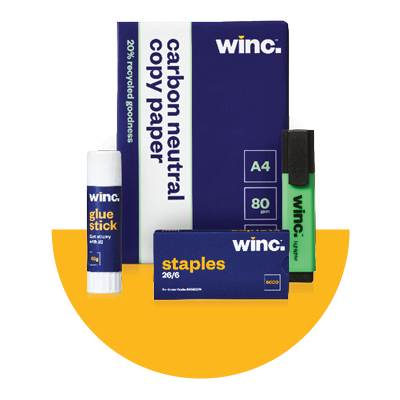 Can’t find the answer you’re looking for or prefer to speak to a Winc team member? You can either contact your Account Manager directly or call our dedicated Winc Customer Service team on 13 26 44, Monday to Friday from 8am – 7pm (AEST) and they’ll only be too happy to help.